Are you the Male Undergraduate of the Year? We're searching UK universities to find the outstanding Male Undergraduate of the Year. You must be ambitious, entrepreneurial and commercially minded. A trip to Paris! L’Oréal will treat one lucky winner to either a year’s placement or a ten-week summer internship, including a trip to L’Oréal’s Paris HQ and a day with members of the senior management committee. Applicants from any degree discipline are welcome. 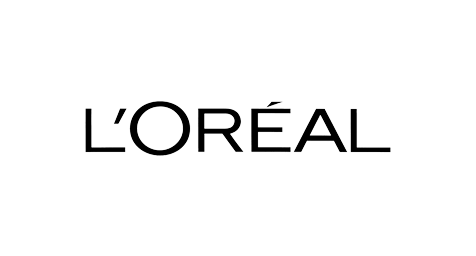 L’Oréal encourages applications from those studying business studies, classics, economics, English, geography, history, languages, marketing, maths, philosophy, politics and PR degrees. The winner of the Male Undergraduate of the Year Award will be ambitious and have clear business acumen. You will understand the value of innovation and be resilient towards demanding goals within the fast-paced environment that L’Oréal operates in. Register your details online and answer three questions set by L’Oréal. Receive an email inviting you to sit three online tests designed exclusively by our partner SHL. If you pass the online tests and successfully make it to the next stage your application will be reviewed by L'Oréal. This stage will include an assessment centre on 22 February in London. At L’Oréal we believe that people are at the heart of what we do and investing in them is crucial for our success. L’Oréal continues to strengthen and develop the way in which we recruit talent into the business and, as a result, we have seen great success in seeing our talent pipeline develop into our business leaders of today. Why an award specifically for male undergraduates? We want to create a diverse and balanced workforce and attracting the best male talent will help us achieve these goals. We are running this award as we want to give males the opportunity to find out more about a career at L’Oréal and break down the perception of L’Oréal by being open and transparent about what we do. Why should you apply for the award? We can offer a male undergraduate a truly challenging opportunity – nothing is impossible and opportunities are limitless. L’Oréal has an excellent track record in developing our management trainees to be our business leaders of the future. The Male Undergraduate of the Year Award is a great initiative. It enables us to identify our potential future leaders and give them an opportunity to realise their full potential by giving them an insight into our business and exposure to our senior management leaders. Our lucky winner will have the opportunity to experience a challenging year's placement or ten-week summer internship with a trip to our Paris headquarters. Our winner will also have exposure to our senior management committee and will be given the opportunity to shadow its members. If you’re ambitious, creative and commercially minded with a strong interest in FMCG then we want to hear from you!